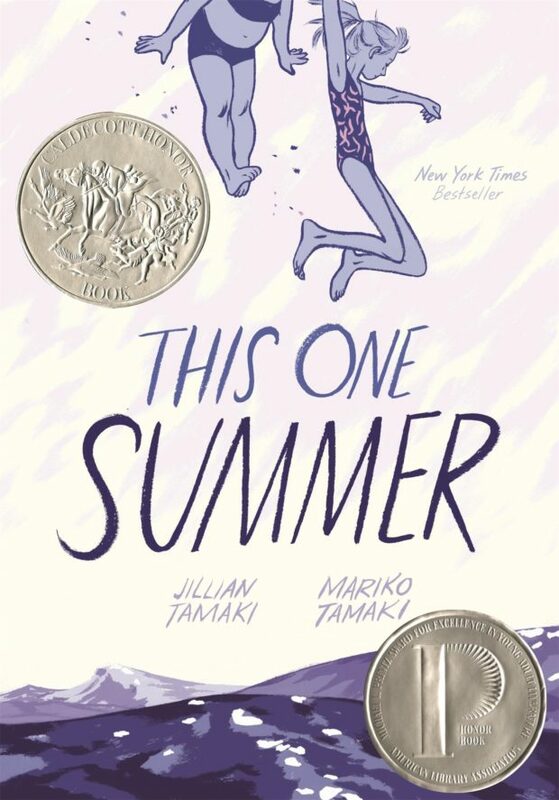 Graphic Novel Review 44/365: This One Summer – First Second Week! 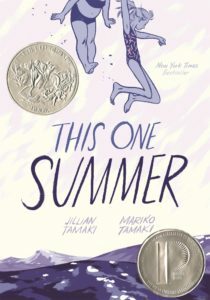 First Second Week continues with a Graphic Novel Review of a powerful title about friendship, family, and growing up. A quick word about the rating. I gave this book a 13+ knowing that the language in the book would give it an “R” rating if it were a film. BUT, this book sits in that early teen wheelhouse. So much so that I could not give it a 17+. You will have to read it yourself and determine if the language is appropriate for those you plan on letting read it. I will say this about the language though…it feels natural. As the young girls in the book explore the idea of what it means to grow up, the older teens in the book are real to them and to us as the reader, and believe it or not, teenagers swear! With that said, I’m OK with the language in this book being read by a 13-14 year old. This 300 page graphic novel will stay with you. It captures the essence of youth wonderfully. And the issues that our main protagonist, Rose, has to deal with, resonate as universal, forcing many readers to reflect upon situations that we might have experienced growing up. These issues include wanting/needing to be older, dealing with the ever present situation of friends changing as we grow, and facing parental problems. Thematically this book checks all of the boxes of adolescence. And it does it well. The writing is real and believable. I like that this book is a bit thicker than most stand-alone graphic novels. Jillian and Mariko do not shy away from story/character development in the face of putting in work on a longer graphic novel. And this could not have been easy, for while the art is not extremely detailed, and the coloring is mono-gray, the art is still superb and detailed enough for us to know that time was spent making and perfecting this book. Even though some may call it a bit cartoon-y, I like it. For me, the hybrid of cartoo-y and the more realistic art found in the older kids and on the screen as the girls watch movies, perfectly captures the idea of clarity, focus, and maturity through age and experience. To recap: crazy good story; crazy good art = great read. This is for sure a First Second title that should not be missed.